We’re so thankful for the talented children’s book authors and illustrators who create these amazing books for us to enjoy! Without further ado, we’d like to introduce you to Lori Mortenson. 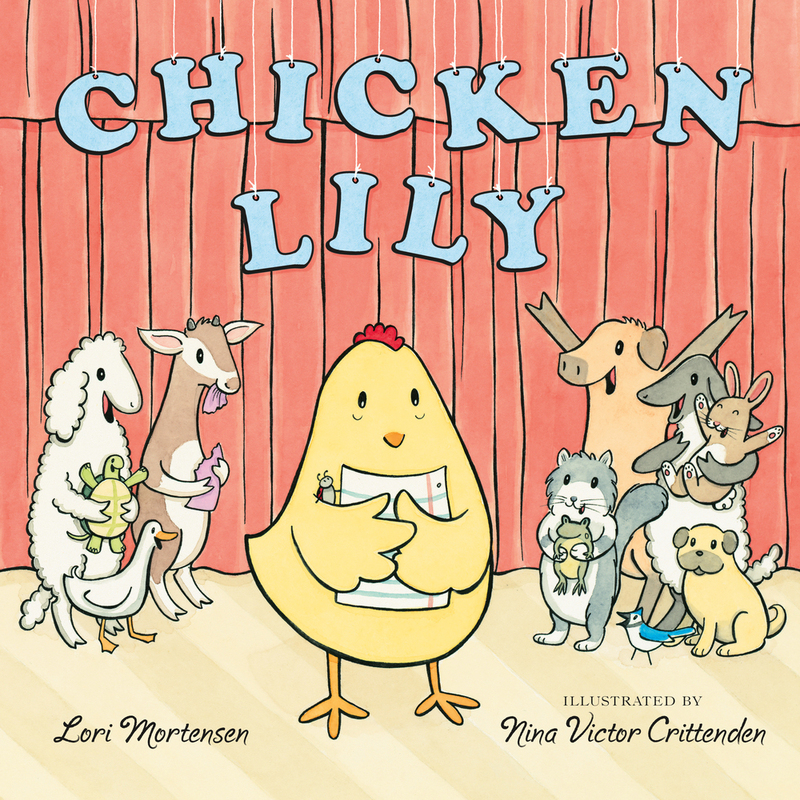 Lori Mortensen is not only the author of Chicken Lily, one of the books we’ve chosen to send to our Bookroo customers, but also of more than 70 other books, as well as 350+ stories and articles! She currently lives in Northern California with her family and very fluffy cat, Max. Bookroo: You’ve held a multitude of different jobs and roles before becoming a children’s book author. Tell us about your journey to arrive here. Lori: Unlike some writers, I didn’t grow up writing stories. Back then, writing never occurred to me. Nobody knew any writers. Whoever they were must have lived far away from my ordinary home on Jennie Drive. Besides, I was much too busy doing cartwheels across the lawn or pushing vegetables around my plate. However, once I learned to read, my nose was often in a book. After graduating from college with a B.S. in professional dance, I worked in a variety of fields including teaching high school dance and typing a mountain of stuff for attorneys, engineers, and accountants. It wasn’t until I was a stay-at-home mom that I was reintroduced to children’s literature and wondered what I could write. I’ve been writing ever since. 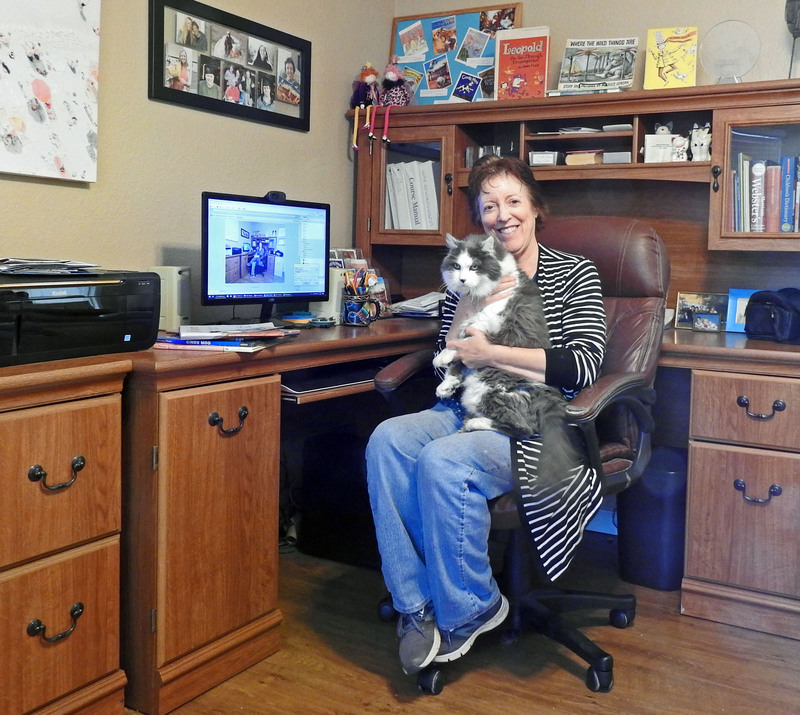 Bookroo: You first began writing children’s books when you became at stay-at-home mom. How have your children influenced your work? Lori: Being around my young children not only helped me see things from their point of view, but they sparked ideas that turned into stories. For example, one night my four-year-old daughter came downstairs and said she couldn’t go to sleep because it was too quiet. In that moment, I knew it was a story just waiting to be written. This idea turned into “Ting-a-ling, Squeak and a Bark” published by Ladybug Magazine June 2003. Bookroo: You’ve published 70 books to date (plus a multitude of articles and short stories). How has your creative process for creating a children’s book evolved through time and experience? Lori: Thankfully, my writing has evolved over the years. At first, coming up with ideas was overwhelming. There was so much to choose from—everything really—so how did anyone decide? Now, after writing many years, I trust the process. I begin by choosing something that gets me excited. The “me” aspect is important because I have to love the initial idea to dedicate the time it’s going to take to turn it into a finished manuscript. Then, I get to work. The first draft may be awful, but if I like the basic premise of the story, then I keep going. In time, it gets better. It always gets better. That’s where trusting comes in. Anyone who writes knows that you have to embrace the revision process because that’s when the magic happens. As you keep writing and revising, new ideas pop up. New characters. New settings. New ways of saying things. But you have to start with a kernel of something before the manuscript can get where you want it to go. Bookroo: Who is your favorite person to test story ideas out on? Lori: I don’t really have a favorite sounding board for ideas per se. Once I finish a manuscript to the best of my ability, I share it with trusted writing friends. I belong to an in-person critique group that meets once a month, as well as a group online. The feedback I get is invaluable. They not only celebrate the good stuff, they point out areas that aren’t working, and offer some great suggestions. We don’t always agree, but then we don’t have to. We’re free to “take or toss” whatever comments come our way. But the manuscripts always get better through the process. 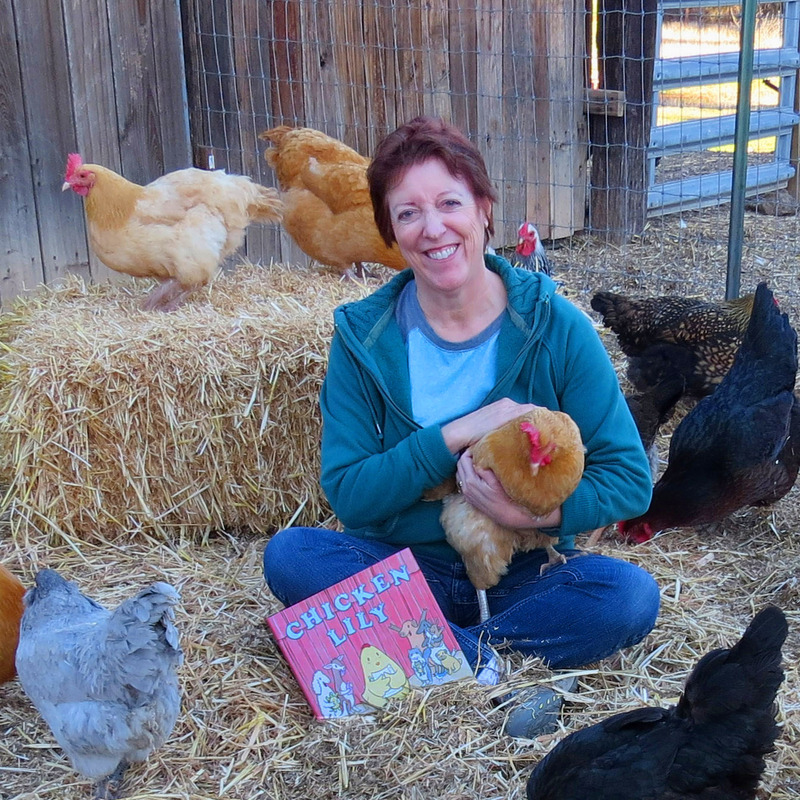 Bookroo: We sent out Chicken Lily in one of our Bookroo boxes and love the story! Where did this idea come from? Lori: Interestingly, Lily started out as a girl who was afraid of going swimming. However, as I went pressed ahead, my enthusiasm for it waned. A little too serious. A little too dire. I wasn’t enjoying it. Then, it hit me. I love humorous picture books. Why not write about . . . a chicken chicken? I ditched the entire manuscript, except the title, Chicken Lily. With an “egg-citing” chicken in mind, the story took off. It was a lot of fun to imagine this chicken chicken, pack it full of puns, and find out how she was going to face her Grand Slam Poetry Jam problem and come out on top. Bookroo: What do you hope children most enjoy about Lily? Lori: I hope they’ll love the puns. I hope they’ll love careful colorer, patient puzzler, quiet-hide-and-seeker Chicken Lily. I hope they’ll realize that we’re all afraid of something—and it’s all right. We’re better and stronger than we know. We can conquer our fears and discover something new—that we can do it. Bookroo: Do you have a favorite time reading one your books aloud? Lori: It’s always fun to read the Cowpoke Clyde and Dirty Dawg books, as well as Cindy Moo aloud because of their page-turning rhymes. I specifically structured them so children could guess what the rhyme will be when we turn the page. It’s always a delight to hear what they come up with and celebrate with them when they get it right. Bookroo: In addition to writing your own books, you also help other authors by critiquing their work. What is your favorite part about this part of your career? Bookroo: If you could collaborate with anyone on a children’s book, who would it be? Lori: Now there’s a question. There are so many authors and illustrators I love and admire it’s truly impossible to choose. However, some of my favorites are Oliver Jeffers, Mac Barnett, Peter Brown, Rowboat Watkins, Tammi Sauer, and Julie Fogliano. Bookroo: What do you hope to be remembered for? Lori: Being a great mom and writing picture books that stir your soul and tickle your funny bone. Bookroo: We’re a community of book-lovers! Do you have any upcoming projects you can share with us? Lori: Yes, indeed. My next release is trekking into bookstores March 2019. It’s a picture book biography about daring Victorian traveler, Isabella Bird, who challenged society’s boundaries for women and became the first female member of the Royal Geographic Society. “No man,” she once declared, “now ever says of any difficult thing that I could not do it!” It’s illustrated by Kristy Caldwell who illustrated Flowers for Sarajevo, a Junior Library Guild Spring 2017 Selection, Kirkus Best Picture Books of 2017, a New York Library's Best Books for Kids 2017, a 2017 Cybil Award finalist, and Chicago Tribune Top 10 Pictures Books of 2017. We really appreciate the opportunity to get to know Lori better and learn more about her work as an author. You can learn even more about her and see more of her work on her website! All images courtesy of Lori Mortensen.